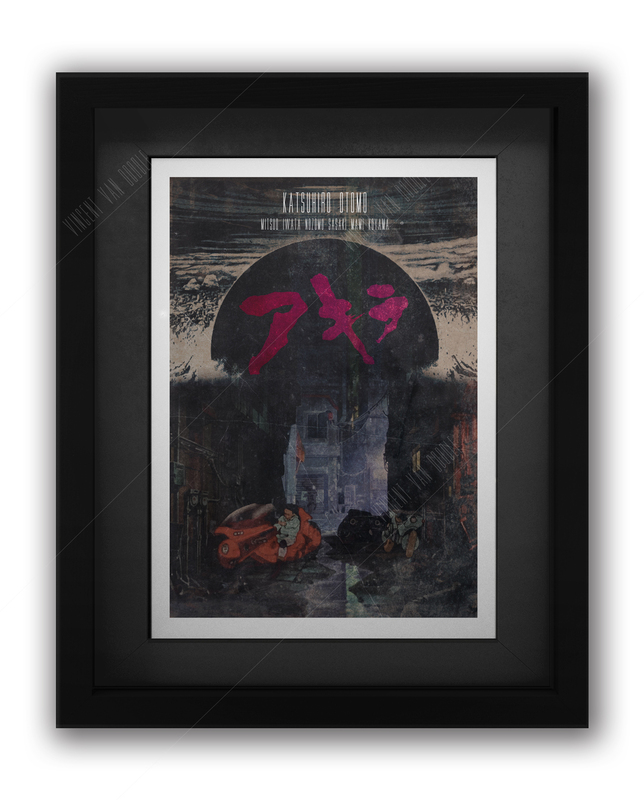 An escaped prsioner seeking revenge isn’t the nicest of topics to turn into artwork, but the standalone memory of De Niro made us do this. It’ll be part of a wider collection of De Niro/Scorses Crossovers we’ll look at re-imagining. 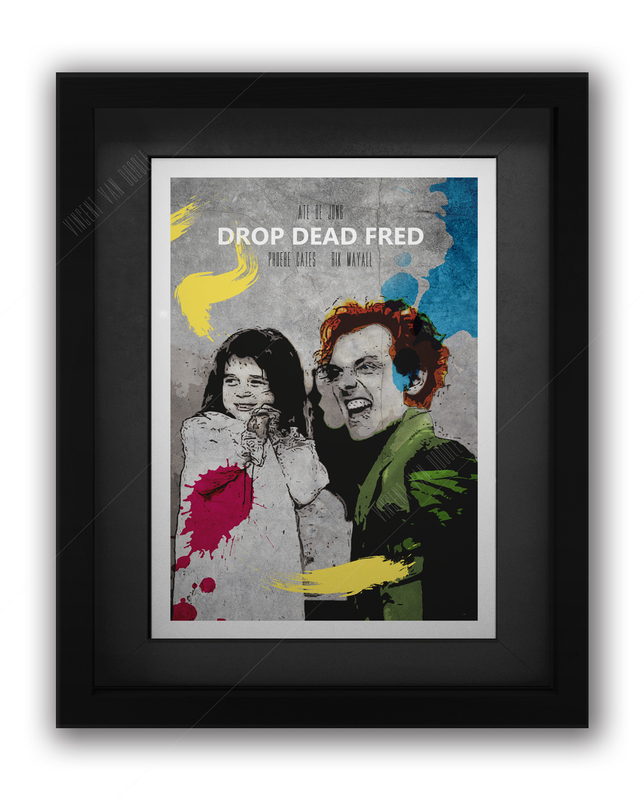 Customers can buy all our artwork in A3, A4 or A1 framed or unframed. 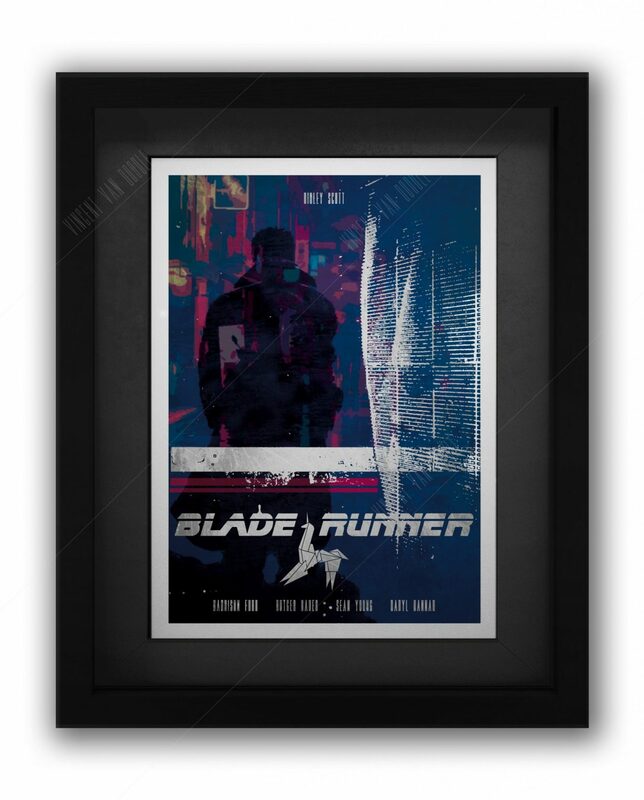 Grey frames work well with this Movie Poster, as do Grey or black mounts. 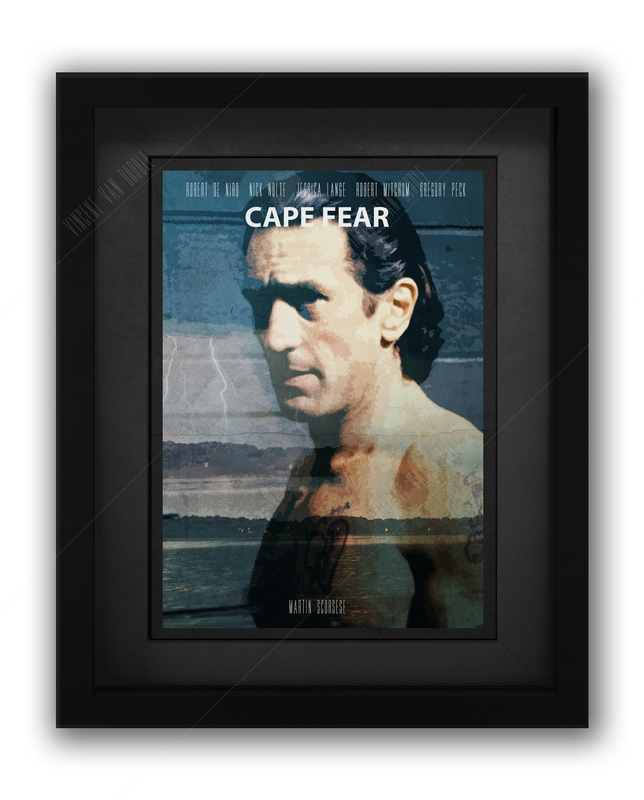 Robert De Niro is truely horrid in Cape Fear. What a superb actor and amazing art direction. The 1991 Movie by Scorsese is based on the original 1962 vesion featuring Gregory Peck and Rob Mitchim. Both those dudes actually appear in the more recent one too. Not only that, but we have De Niro on fine form, plus Nick Nolte and Juliet Lewis with smashing performances. If you haven’t seen it for some time, two major images tend to jump out from momeory. The first will be De Niro, covered in Tattoos, deeply menacing and calculated. The second, for us at least, was the rain and water. The entire film feels like it’s drenched in a torrential downpour. That’s exactly why we chose the portrait of De Niro on a blue and black background. 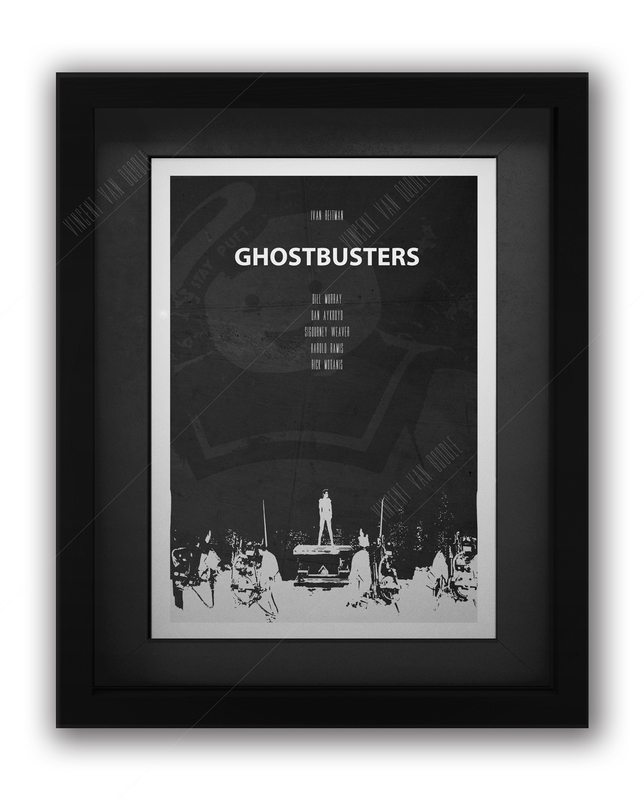 You may also notice the Thunder Storm in the background, double exposed on to the image.